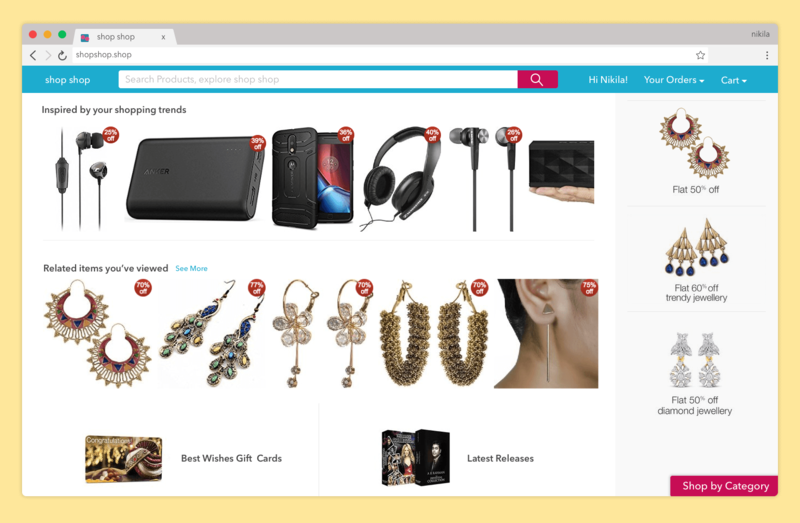 After the amazing response we got for our last blog on e-commerce, we are digging deep to share more details with you on each of the topics. Hope it helps you. Immersive interactions is getting a lot of buzz out in the world, and for good reason. It’s easy to see why the convenience of online shopping has wooed customers away from brick and mortar stores. E-commerce stores are going through a renaissance, and its convenience and accessibility has made it an ideal channel for shopping. E-commerce stores like Amazon, Vertty, Mulberry and Hardgraft deliver the large majority of online interactions today, and have created a new standard for customer experience. When it comes to shopping, users want experiences that are tailored to their needs and wants. As customers, we want brands to know us, love us and anticipate our next moves. Animation is a great way to engage with users, and when used in the right place at the right time, makes online shopping experience more playable and enjoyable for the users. Animation can include anything from a cool pop-up notification effect to dropping a chicken among the products in the background. Apart from the visual appeal, animations more importantly transition users between states of content. Transitions are the glue holding together all animated effects. Micro interactions are magic components that add delight, create surprise, and offer something interesting and engaging. Consider, how annoying it would be if you were not able to set a username and password for a e-commerce site in few clicks or if you were not able to select a product and add it to your wishlist in a single click. These small interactions serve a variety of core functions for all the e-commerce site design. Microinteractions are good in dissolving frustrating moments by turning them into a pleasant experience for your e-commerce design. Large pictures and video backgrounds create engaging websites. Photograph your product in a way that the user can correlate with the product. 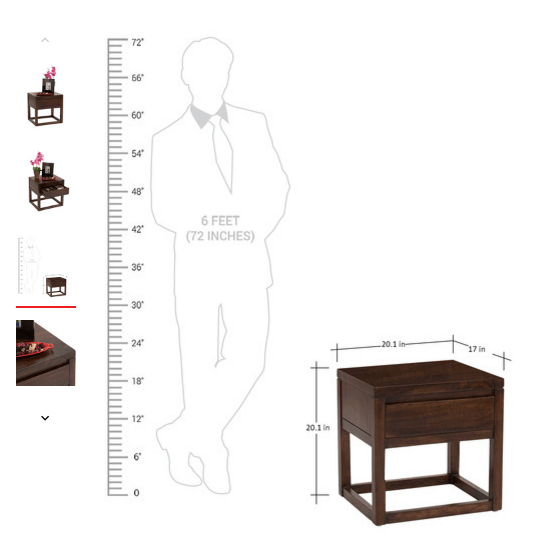 For example in the above picture it is easy for the user to know the height of table with the reference of the human picture standing next to the table. These type of images can encourage potential customers to make a purchase the moment they arrive on your website. A product short in an immersive way will have a greater impact on a customer’s buying decision while you can also do 3D rendering of the product, zoom in or zoom out to provide a much detailed view of the product if shooting a video for each product is a cumbersome process. Using video will add visibility to the site, but should be used in moderation. Build a user-centric experience applied to the early stages of information search for your user based on their buying behaviour. Basically a personalized user experience should be created for each user and when that person logs into the e-commerce site, instead of a generic home page, a personalized home page should be displayed based on their buying behaviour. This lets your audience navigate through the site easily and you cater to their needs. The method also helps unveiling “user experience” combined with functional requirements. A well thought out colour palette can go a long way to enhance the user experience. Subtle color can be used in the background to enhance the products displayed on the site. Vibrant colours create emotion and can be used for buttons and call to actions. When it comes to online business, the ultimate goal is to get conversions. E-commerce is tricky but all the important elements should help to improve the user experience and compel users to make a purchase. Think of ideas that will persuade first-time visitors to fall in love with the products and the experience design. We have given our thoughts to create immersive experience for users which can be adapted for any business. We would love to see better e-commerce experience in 2017. Let’s design India. What are your ideas to improve online shopping experience? Share your thoughts in the comments section below!